Congratulations to tour winner Danielle M. and to host winners Fabulous and Brunette and Book Bites Review. 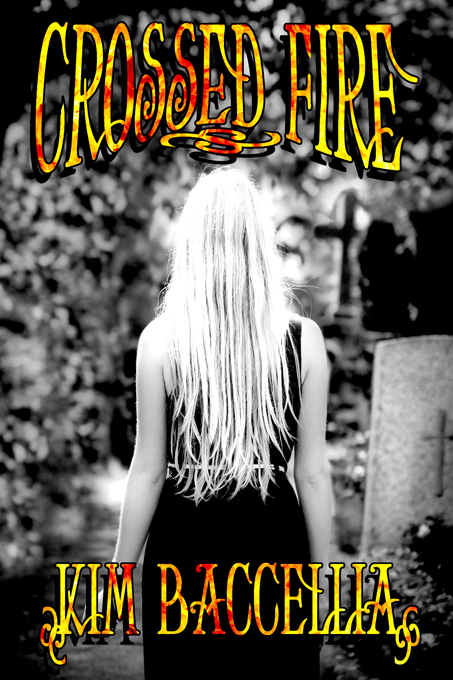 Goddess Fish Promotions is organizing a Virtual REVIEW ONLY Tour for Crossed Fire by Kim Baccellia, a 290 page Paranormal Young Adult novel available now from Lachesis. The tour will run every Wednesday for 4 weeks starting on August 22, and the book is available in PDF format. Kim Baccellia will be awarding a $20 Amazon or Barnes and Noble GC to a randomly drawn winner via rafflecopter during the tour, and a $20 Starbucks GC to a randomly drawn host. Because this is a review tour, GFP will award a $5 Amazon GC to a randomly drawn host. Stephanie Stewart is a typical sixteen-year-old girl—she loves hanging out with her friends, going to concerts, and sipping mocha lattes. Yup. Just your average teenager . . . Except for one difference—she can see and talk to the dead. In fact, Stephanie helps dead girls who who’ve been murdered or killed, cross over. Just as Stephanie is getting used to her unique “gift”, her mom stumbles into some dangerous witchcraft that backfires and triggers similar abilities in Stephanie’s best friend Cura, and nemesis Hillary. Stephanie already has enough trouble trying to maintain a “normal” life between school and her cute boyfriend Dylan, who happens to have a supernatural talent all his own. But now she has to help her friend Cura and her “frenemy” Hillary cope with their new-found powers as well as cross over two murdered cheerleaders and battle an evil demon who wants to use Stephanie’s supernatural strengths as a free pass to The Other Side. And she needs to do it all while still getting her term papers in on time. She’s definitely going to need an extra-large mocha latte for this.